The halo of brilliant round diamonds of the Aura Engagement Ring enhance the radiance of the rose cut central stone. Together they create a beautiful illumination throughout the design. or 6 payments of $1,000 with What's this? 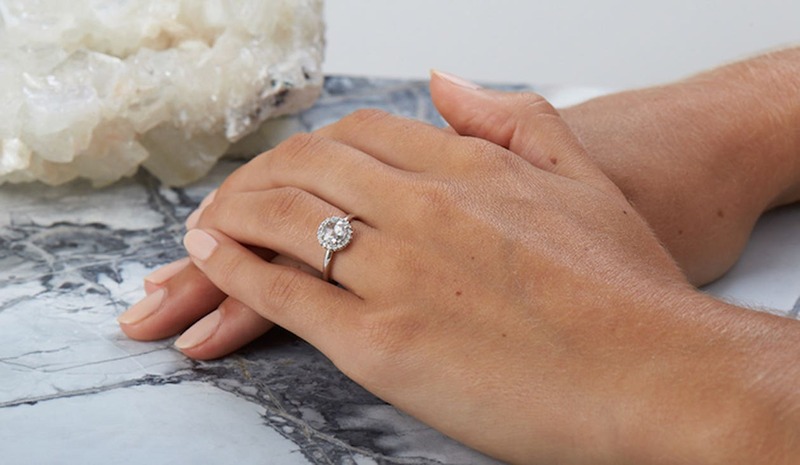 The Aura Engagement Ring features a rose cut diamond at its centre surrounded by a diamond halo. This unusual cut is unique as the facets appear on the top of the stone, rather than beneath, so as to capture the light. The halo of brilliant round diamonds enhance the radiance of the central stone, together they create a beautiful illumination throughout the design.